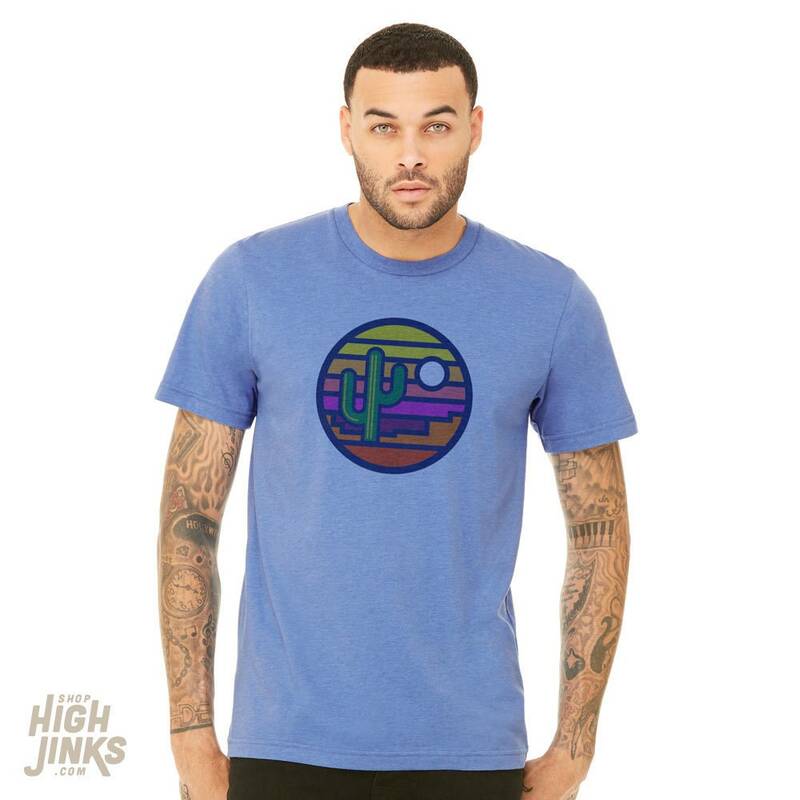 We're loving the vintage feel of this stained glass style graphic t. Paying homage to the beauty that is the Arizona desert sunset. 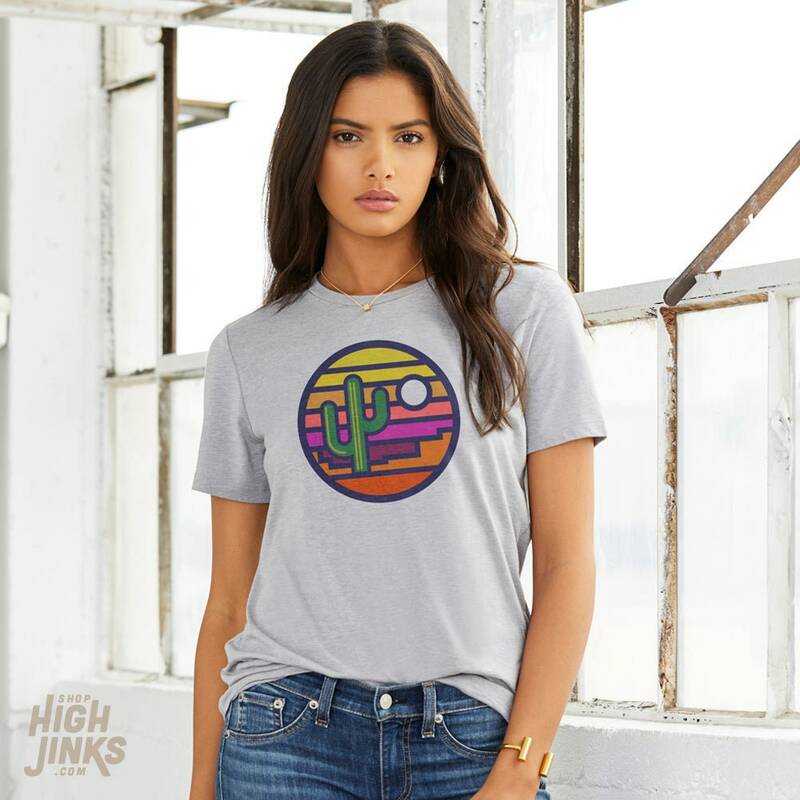 This soft blend unisex crew neck is printed to order with water-based ink. Made with love to soften with time.